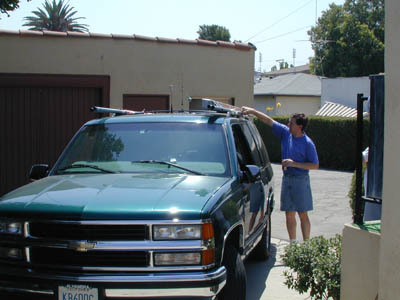 This is a picture of Gerry (KB6OOC) loading the new 10 Meter antenna on the top of his Tahoe sometime around 1:00 pm on Friday afternoon August 25, 2000. 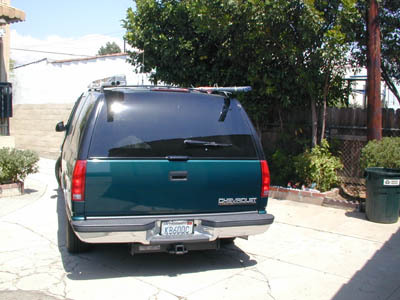 Another view of Gerry's Vehicle in his backyard located in Alhambra before the departure to Bakersfield. 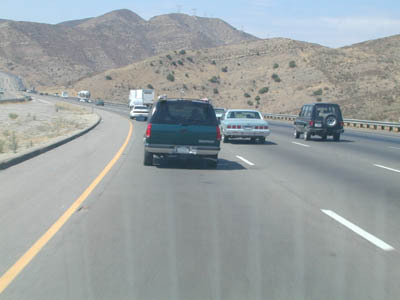 On our way up the Grapevine on I-5 freeway sometime around 2:30 pm on Friday August 25th. 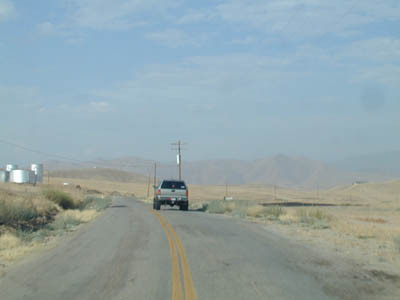 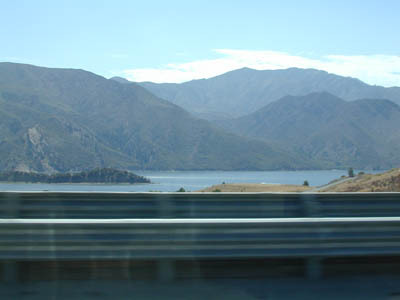 Pyramid lake off the 5 freeway. 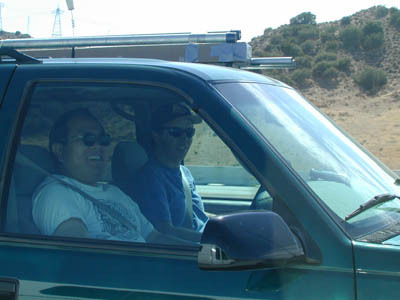 Cliff (KA6JRG) and Gerry (KB6OOC) laughing at me (KE6PCV) taking their picture while we are driving up the Grapevine. 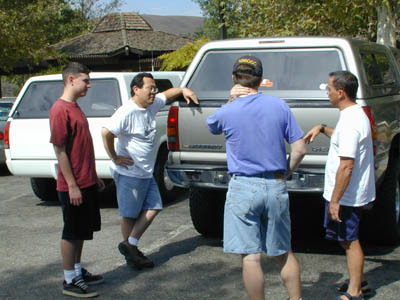 (From left to right Chris (K6TMI), Gerry (KB6OOC), John (N6NHJ) and Cliff (KA6JRG). 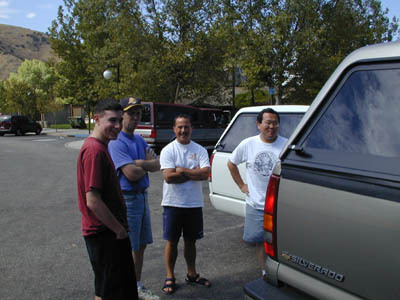 Everyone checking out John (N6NHJ's) new 4 wheel drive CHEVY truck with all the cool features. 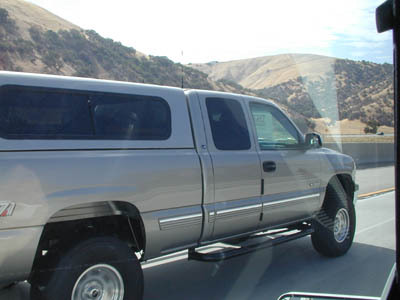 John's truck on the freeway. 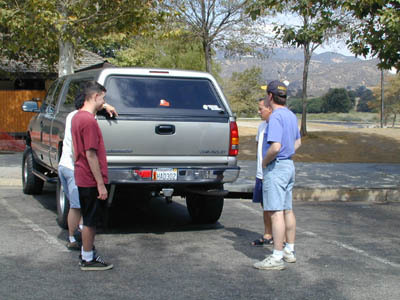 Nice 4 inch lift! 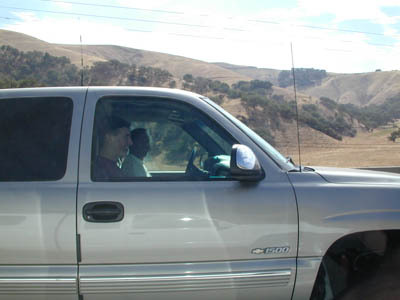 Chris (K6TMI) and John (N6NHJ) in route to Bakersfield on the I-5 just past Gorman. 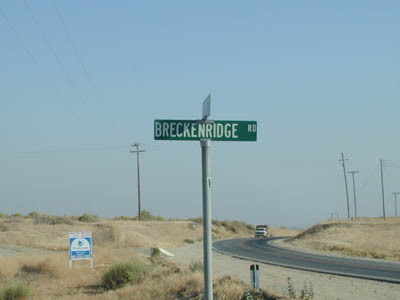 John (N6NHJ) just after the Breckenridge Road turn off.